Microsoft is closing out a miserable year for the world with a stellar Xbox Games With Gold lineup, bringing two heavy hitters for the month of December in Burnout Paradise and Sleeping Dogs, the company announced today. 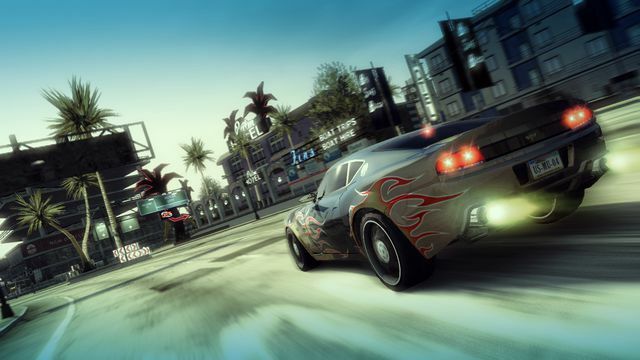 Criterion Games’ Burnout Paradise has been a highly requested Xbox backward compatibility title since the program was announced at E3 2015, and the studio said way back in October 2015 that support for the game was “in the pipe.” The crash-tastic open-world racer, which was originally released on PlayStation 3, Windows PC and Xbox 360 in January 2008, will be available free on Games With Gold from Dec. 16-31 — and all Xbox 360 Games With Gold titles are now playable on Xbox One. The backward-compatible game for the first half of December will be Outland, the light-and-dark-based platformer from Housemarque that debuted on Xbox Live Arcade in April 2011. The Xbox One port of Sleeping Dogs, the beloved open-world action game from the now-defunct United Front Games, will be available free for the entire month of December. United Front launched Sleeping Dogs on PC, PS3 and Xbox 360 back in August 2012, and was reportedly working on a sequel that was canceled in 2013. Outlast, the first-person survival horror game from Red Barrels, will be the second Xbox One Games With Gold title for December. It will be available free from Dec. 16 through Jan. 15, 2017. As always, all four games are available only to Xbox Live Gold subscribers.